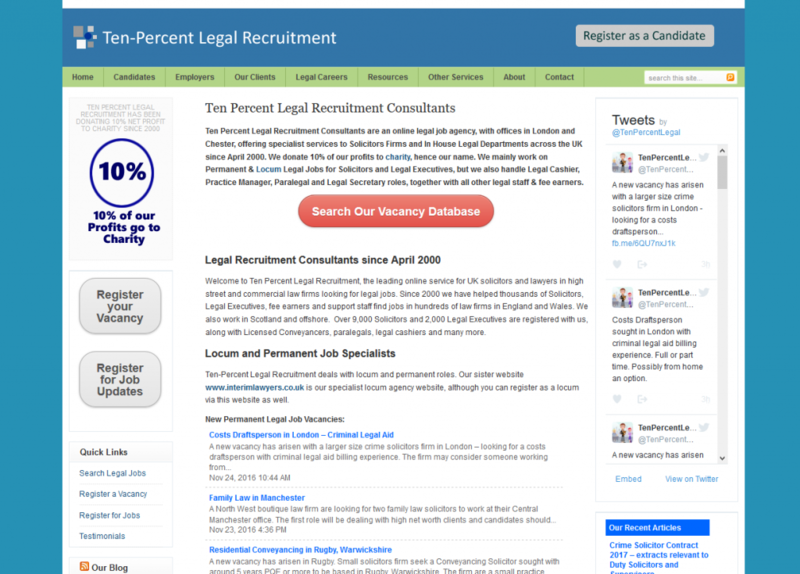 Ten Percent Legal Recruitment – our first and biggest website. Legal Recruitment Consultants with offices in London and Chester, offering specialist services to Solicitors Firms and In House Legal Departments across the UK since April 2000. We mainly work on permanent and locum jobs for Solicitors and Legal Executives, but we also handle Legal Cashier, Practice Manager, Paralegal and Legal Secretary roles, together with all other legal staff & fee earners. There are over 12,000 solicitors and legal executives registered with us for work.